On the occasion of International Women's Day and for the second consecutive year, the French Conseil supérieur de l’audiovisuel (CSA) published a report on the representation of women and men in TV and radio programmes. 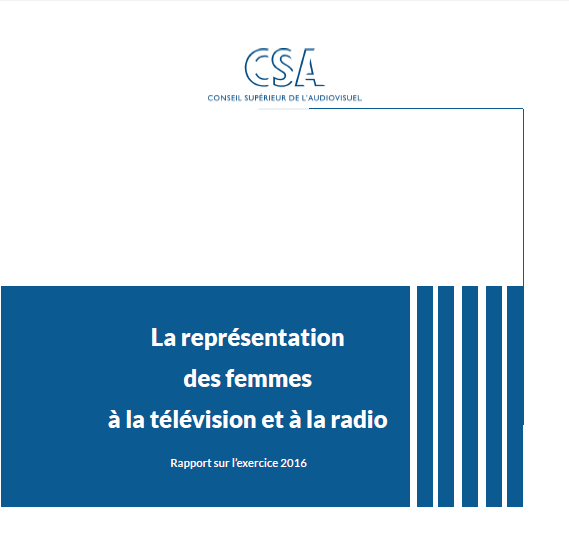 This report analyses the status of the representation of women, in both quantitative and qualitative terms, in TV and radio programmes in 2016 and the measures undertaken by the French CSA with regard to Women's Rights in 2016. Non-stereotyped programmes, such as "youth", "fiction" and "reality", represent an average of 9% of the programmes broadcast. Open a dialogue to improve the representation of women in music videos.